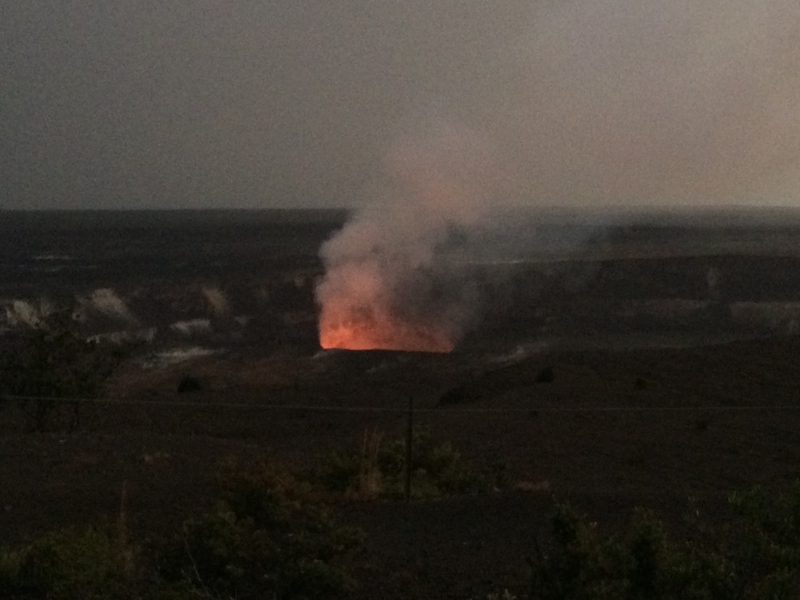 Kilauea, an active volcano can be found on the Island of Hawai'i (Big Island) within the Hawai'i Volcanoes National Park. The park includes several day and backcountry hiking opportunities. 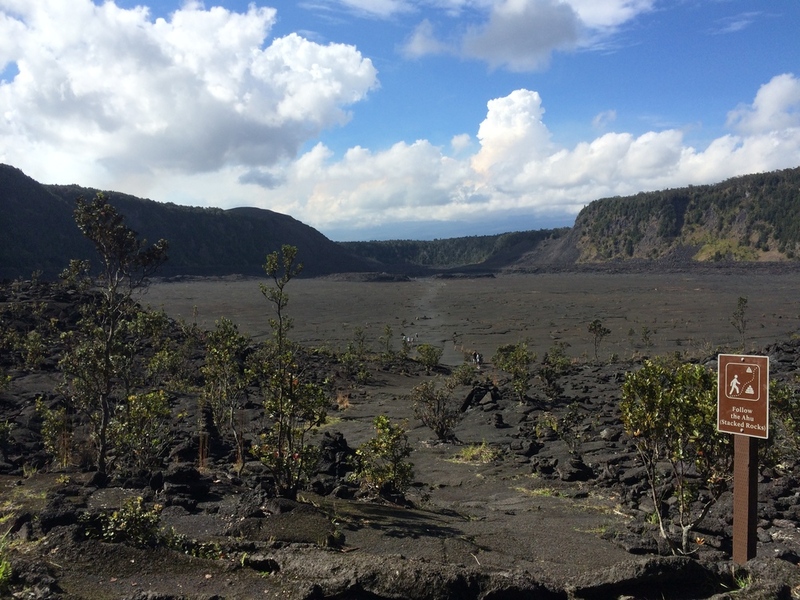 We took the Kilauea Iki Crater Trail loop through the forrest down the barren crater and back out the way we came. 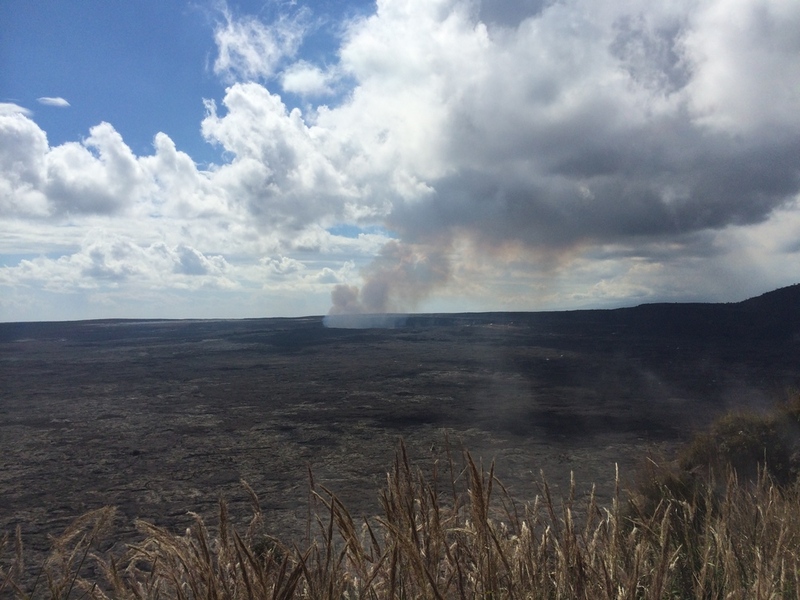 The total loop length 4 miles with a 400 ft elevation coming out of the crater. The trail is marked with several stacked rocks as well as markers corresponding to a trail guide that can be found at the trailhead. There are some vents along the way that usually have steam coming out especially if it has rained recently. 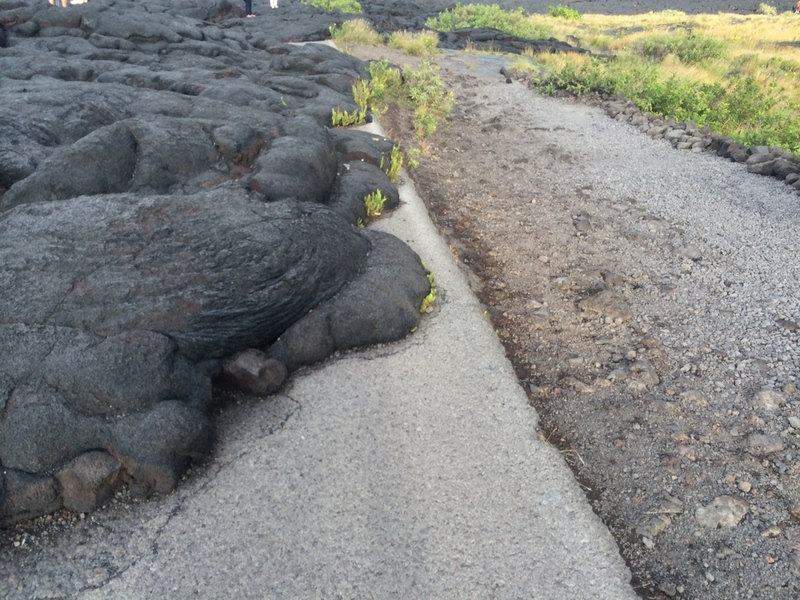 Be sure to watch your step if you go off the trail and decide to explore some of the piles of lava rock. While we were walking back to the trailhead we looked over the crater to see fog rolling in. After the hike we decided to drive down the Chain of Craters Road to the Ocean and walked out to where the lava had blocked the original road but didn't get to explore any more since it started to pour outside. 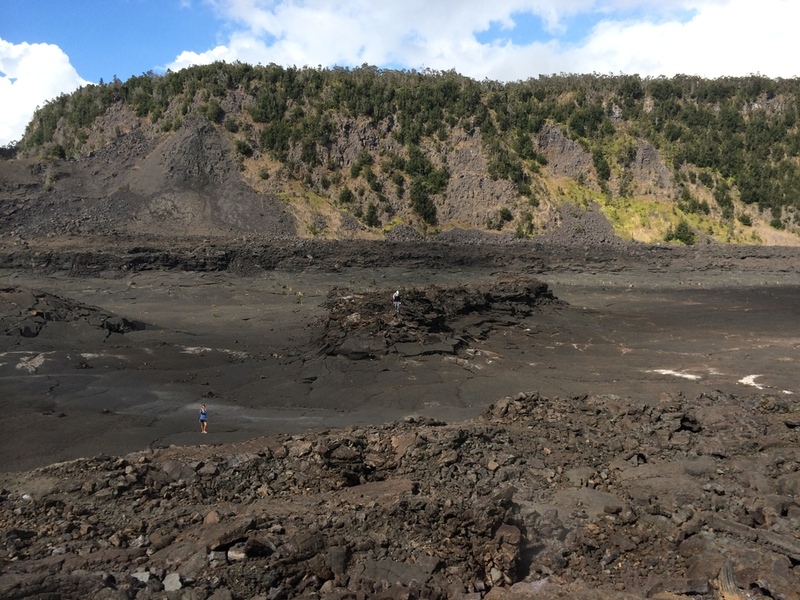 The final point of interest we got to stop at was the Thurston Lava Tube which is like a tunnel created from cooling lava.